We live in an age where stress is everywhere and a part of everything. Tai chi is a great way to relieve some of the build up, which is necessary to maintain health, sanity and wellness. 1. Stress is a fancy word for tension. 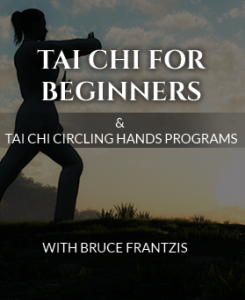 Tai chi has systematic and progressive processes that teach you how to relax your body and mind. 2. Stress lodges in the body in different places. These areas become weakened over time, and as stress escalates, these places become ever-more vulnerable. However, it’s a negative feedback loop because the damage can also cause a stress response, which gets the whole body involved. So, this business about only being as strong as your weakest link has some validity. Tai Chi works every single part of the body. If any particular place in your body calls attention to it–pain, discomfort, weakness–it’s easy to target. 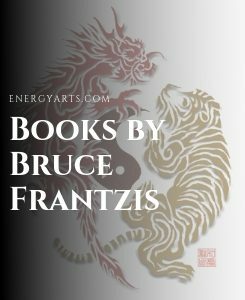 However, what is unique about tai chi, and all the internal martial arts, is that it’s targeted not as a separate motion, but within the general flow of the movement. Not many Western exercise programs can claim such systemic results. 3. Tai chi radically increases your breathing. One of the hallmarks of stress is that people start breathing erratically. This causes oxygen deprivation, which again activates a negative feedback loop because lack of oxygen–especially in the brain–elicits a full-blown stress response. Nothing is more tied to survival than your ability to breathe. Don’t take my word for it, just try not doing it for a few minutes and see what happens. 4. Tai chi’s regular motions stretch the body very evenly and gently. 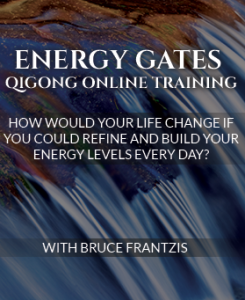 You’re always looking for the balance point to achieve what you need without going to extremes. Extremism causes stress to become damaging. Doing work isn’t stressful in and of itself. Frankly speaking many ancient peoples’ lives were much harder than what we experience today. It’s the fact that we take work to extremes: endless deadlines and the moving at lightening speeds–not just using computers, but treating ourselves as though we’re machines. It’s damaging to our bodies, minds and spirits–stress has become the disease of the modern age. Stress, to some degree, can be helpful as it helps us get things done. However, when it goes too far for prolonged periods, it becomes chronic. It’s chronic stress that has become epidemic. In terms of evolution, we are designed to fight or run if we encounter dangers like a saber-toothed tiger. We have the ability to get away and stay alive, but we’re not designed to stay there fighting the tiger for months or years on end. We have the same stress response when our computer freezes, someone steels our parking spot or we don’t get the business deal as if we were fighting off a tiger. The physiological response is the same in the body and brain. Tai chi, with its continuous, slow-motion moment and regulation of body alignments, trains you to do many things at once. Yet, all the while, you do it in a manner that is slow, leisurely and well-paced. You don’t need complicated mental constructs, therapists and motivational speakers teaching you how to think positive, you can train your body and mind to respond appropriately. After some months or years of tai chi practice my students report that they just feel better, they’re able to handle daily stresses easier and they don’t seem to get upset as much. They also report than when big problems arise that they’re able to let go of them more quickly and not add fuel to the fire by freaking out. They don’t have to “think” about it because they have trained themselves to counter the stress response with a relaxation response. I think there is one more thing about stress and Taijiquan: you have something to think about! Jogging would not help me with work related stress because I would continue thinking about work. But with Taijiquan, I think about the movements, my body, my reactions and that is a big stress reducing contributor! Though you could see that in point 1: relax the mind! Many of my students report feeling better! 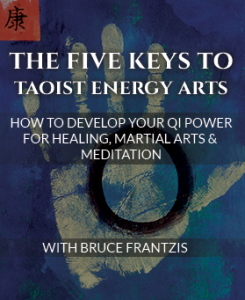 I think it’s a combination of mindful movement, breath and the community of other tai chi players that make it the perfect system. You learn to feel your body and actually notice the small parts that are so often neglected. There is no pain like that usually associated with beginning a new exercise regimen. I like the fact that Tai Chi and Qigong are inclusive, so no matter your ability or disability, age or youth, nothing stands in the way of creating a new mind/body balance.